Today’s episode will inspire you to create something NEW in your life. 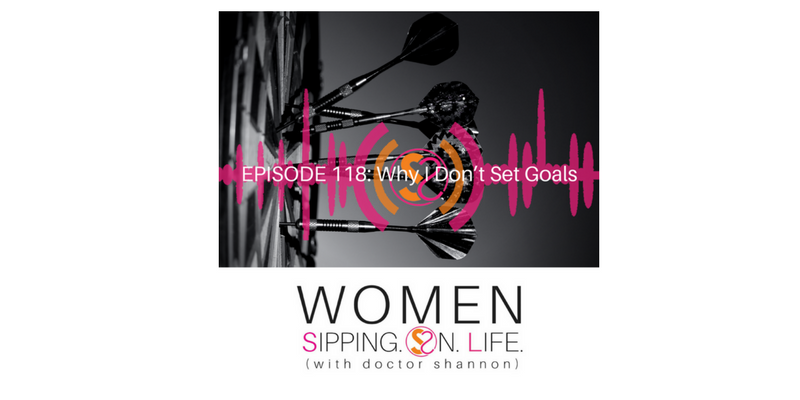 Are you tired of setting goals, but NOT reaching them? If you’ve ever felt “beat up” by traditional goal-setting, today’s the day to set yourself free and get results WITHOUT setting goals. Life’s about living the desires of your heart, and seeing your dreams become your reality. Not GOAL-SETTING. Do you know what you desire? It’s time to get conscious about what you desire to create. Commit to change. Grow. Expand. It’s about becoming what you desire to be and become. This creates inspired creativity. And creates RESULTS. Stop beating yourself up with a strategy that doesn’t work. If you desire to create something NEW, you must try…actually, do more than TRY…DO. What are you doing TODAY to create what you desire? Write down exactly what your desire is today when it comes to CHANGE, and creating change in your life. I’ll be back again tomorrow with a continuation of today’s episode with EPISODE 119: 3 Secrets To Change. Podcast cover photo by Kate Montague of KM Captured (www.kmcaptured.